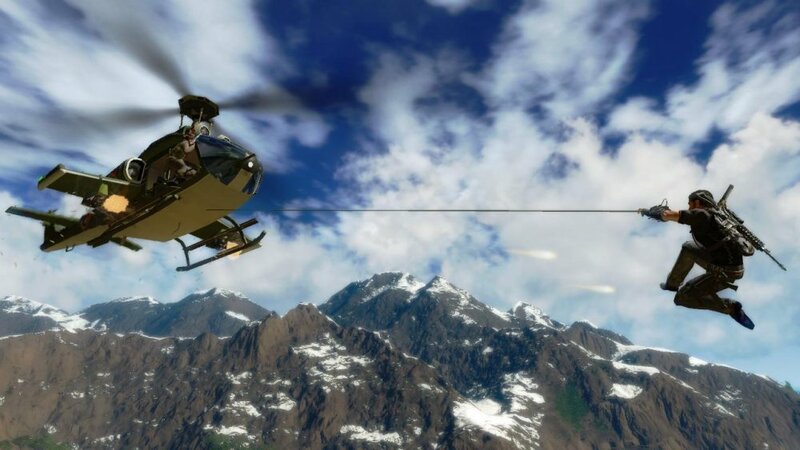 Hijack a helicopter with a grappling hook. AUTHOR'S NOTE: The mod does not add co-op. It adds a multiplayer mode with no NPCs that encourages PVP play. The team behind it has no immediate plans to add NPCs to this mode. Thanks to everyone who let me know otherwise. Despite the lack of cooperative play, this is still a really amazing feat by regular people who really just enjoy playing the game. Looks like the co-op dream will need to wait until (hopefully!) Just Cause 3. Before there was Saints Row: The Third or Grand Theft Auto Online, there was Just Cause 2. Open world games have a tendency to spark fits of incredible devastation, and Just Cause was the game that said "Who wants all this driving around and listening to the radio? You know what all the kids are talking about these days? Grappling hooks." Now, instead of hijacking a parked car and turning the car's former pilot into a pedestrian, you were given the ability to fire a grappling hook at a car, building, human being, airplane, etc, rip inside and take this vehicle for your own. The only problem with Just Cause? You had this big open world with incredible mobility and the goal to make everything there explode, except you had to do so alone. No co-op. All that has just changed. 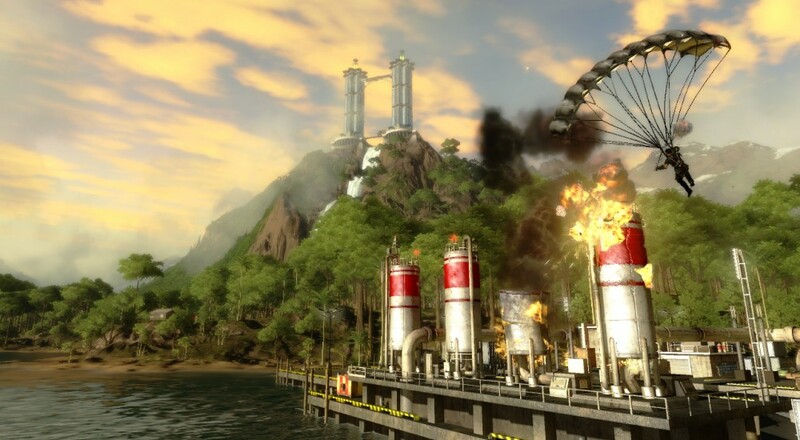 Now you can wreck the world of Just Cause 2 with other players via a mod on Steam for anyone who owns the game. The thriving community of co-op diehards who have a soft spot for Just Cause are releasing this for free by the end of the year. This mod is fully integrated into Steam, so you can just invite straight from your friends list. The only requirement is that you need to own the game, on Steam. Sorry, console users. The final beta test will be going on the 7th of December through the 14th. Anyone interested in testing this thing out before the official release can apply here. This whole ordeal? Pretty cool. Not only are we getting multiplayer in a game that straight up deserved to have a co-op campaign (and why it didn't ship with it natively should be considered a war crime), but it's coming for free, by fans who just wanted to see this crazy friend get the support it needed. I love seeing mistakes by publishers corrected by modders. Shine on you crazy diamonds. Page created in 0.8596 seconds.